PlayStation’s E3 Showcase promises to be a unique event every year. Sony pulls out all the stops, springing for live orchestras and on stage antics by actors and creators alike. It also promises to give us a better look at some of the most anticipated upcoming titles. 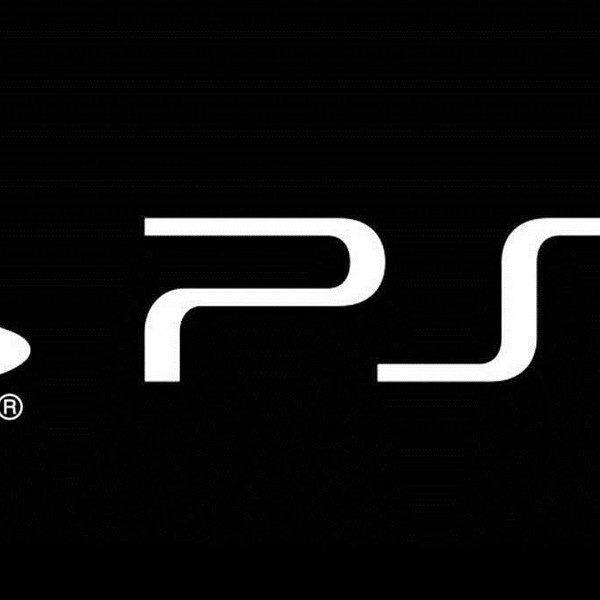 This year, Sony announced that they would focus on four key games from their lineup. The 2018 showcase began in a rustic wooden church lit by fairy lights. While I wouldn’t have guessed this would be the prelude to their debut of the first gameplay trailer for The Last of Us Part II, I was pleasantly surprised when Gustavo Santaolalla was introduced. The brilliant Argentinian musician was responsible for the first game’s beautiful soundtrack, and he appeared to regale the crowd with a rendition of the main title theme. The trailer begins with Ellie, aged up as we saw her in the original reveal trailer over a year ago, sitting in the same church that the audience is. There is music, booze, and dancing. The lively scene makes it almost difficult to remember these are games set deep in a post apocalyptic world filled with fungal ridden zombies. Ellie is watching a girl about her age dance with a boy. When another boy, later called Jesse, approaches her and strikes up a conversation, the whole thing takes on the feeling of a teen drama as they discuss romance and break-ups. My ears couldn’t help but perk up as Jess mentions how he got a talking to from ‘her old man’. We still haven’t heard much from Naughty Dog on what Joel’s roll in this sequel will be, and a good portion of the internet is convinced that means he’s probably dead. It is doubtful that they will tell us either way until the game actually launches, but they are having fun playing with my heart. The dance finishes and the girl Ellie was watching approaches the two of them. Her name is Dina, and she greets Ellie excitedly, before dragging her onto the dance floor and away from Jesse, who seems to be her ex. They dance and talk, and it all feels very normal. The tension between the two of them builds as Ellie insists all the boys are looking at Dina. Dina tells her they are just jealous. Ellie very pointedly says, “I’m just a girl. Not a threat.” Dina responds by telling Ellie “I think they should be terrified of you,” before leaning in to kiss her. 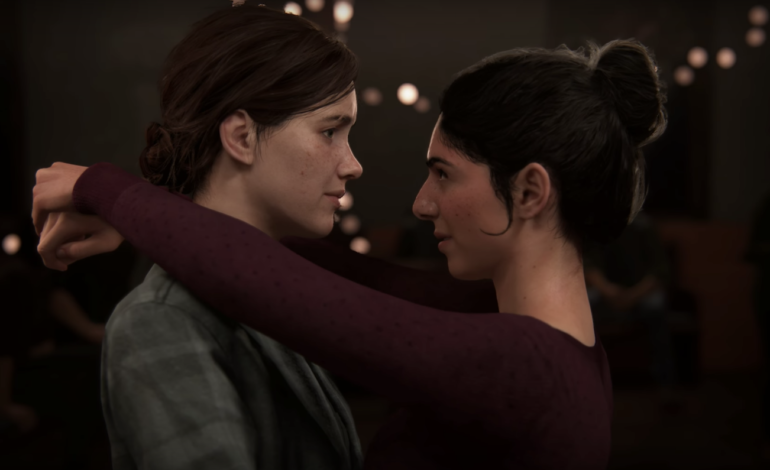 As they kiss and the trailer shifts to remind us all that this is not a happy world where Ellie’s biggest problems are her crushes. Now we see Ellie holding a man down as she slits his throat. He dies, bleeding at her feet. The transition also takes us from cutscene to gameplay, as Ellie stalks through the grass into a camp of hostiles. The stealth mechanics are on full show in this gameplay footage as she creeps through the long grass, avoiding detection from torch wielding enemies. Bodies litter the frame, strung up and left to hang by some malicious entity, likely the same group that the woman in the Paris Games Week trailer belonged to. Ellie peers over a ledge and watches the bandits murder another person by hanging them and then gutting them. She pulls back and enters an overgrown parking garage. The first weapon used is the bow, Ellie’s choice instrument of damage in the first game. It looks to have even more precision here, as well as opportunities to craft different types of arrows. The trailer then shifts focus to combat. For anyone who remembers playing as Ellie in the first game, you’ll remember that back then it was all about stealth, because she had none of the strength or mass that allowed Joel to pummel raiders into the ground. In The Last of Us Part II, all of that has changed. Ellie charges into battle with exactly the ferocity and brutality that Joel does. She can take enemies down with machetes and pipes, even moving one out of her way by hitting them in the face with a bottle. I was struck by the resource scarcity on display as well. The player starts the sequence with 2 arrows, 8 bullets, and a machete. This stays true to the franchise where I once had to fight an area of ten enemies with nothing in my inventory except a brick and wooden board. As she takes down a couple of enemies she is spotted and immediately called ‘wolf,’ by the other goons. They chase her down through the parking garage and out into an open lot. Player seem to be able to duck back into cover even after being spotted, but enemies are still on high alert, even noting to their companions where you were last seen. The new stealth system even allows you to crawl under cars and lie in wait as enemies come to look for you and you shoot them in the face. Getting spotted though involves getting dragged out from under the car and pummeled. The entire combat sequence feels fast and brutal and filled with near misses that Ellie barely manages to scramble her way out of. It ends with Ellie bringing a man to his knees and as he whispers about sin, she takes his head off with a machete. A shot of her bloodied face brings us back into the church, and back to the kiss. Dina reaffirms that the boys should ‘be terrified’ of Ellie. The trailer cuts to black on the rarest thing of all: Ellie beaming from ear to ear. It is a beautiful trailer, both graphically and from a story perspective. It doesn’t provide much clarity for fans wondering what exactly the story will focus on, and how all of these pieces, from the original trailer, to PGW, to this, fit together. But it is great to finally see some gameplay and how a game focused on a grown up Ellie is going to look and feel for the players. The Last of Us fans certainly have a lot to be excited about here, even if they have no idea how long they will be waiting. Perhaps as E3 week continues, Naughty Dog will have more surprises in store for them.